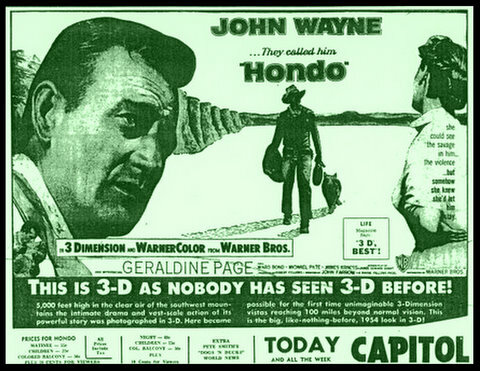 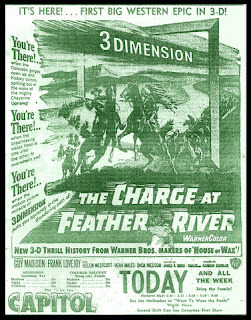 The CAPITOL THEATRE was the first theatre in Rowan County to exhibit 3-D movies when BWANA DEVIL premiered April 25, 1953. Viewers had to wear a pair of glasses to experience the third dimensional effects. Even the movie projectionist had to wear them, to keep the image in proper focus. 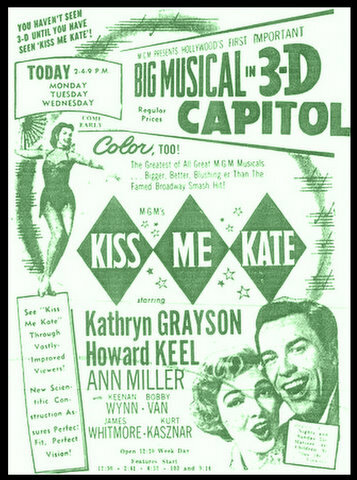 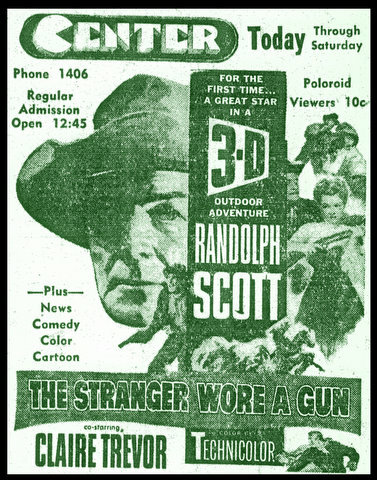 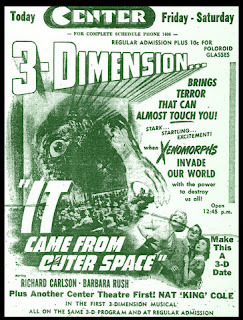 The 3-D craze of the 1950s came and went pretty quickly, lasting around one year. 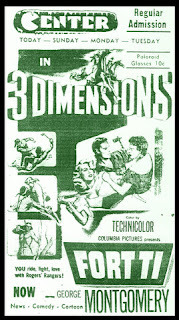 The main purpose of producing and exhibiting movies in three-dimension was to create some consumer excitement with the movie business, which was taking a hard hit from that new electronic device called television. Down, but not out, 3-D films have made their return in the industry, almost sixty years after their first time around.